Anchor.FM: The Easiest Way to Podcast – ACC Interactive Media Arts Student Blog! It’s either people are listening to podcasts or creating their own podcasts nowadays. The audio streaming industry is now better recognized and paid attention to because of its contents’ ease to access and inexpensiveness to create. As a matter of fact, people are more inclined to consume content on their own time. If you’re one of those people who would like to join in on the fun of podcasting but is clueless where to start, you should know there are several hosts out there that can serve your podcasting needs. One app that I would like to recommend is Anchor.fm. This podcast app is available through desktop, the App Store and Google Play. I was totally taken aback to know that it’s the only app so far that allows you to instantly distribute your content directly from your phone. Yes, it’s that easy. Unlike many other podcast platforms, which requires a lot from the creators including complete gear and software, membership fees, and fairly good knowledge about feed distribution, Anchor.FM eliminates all those things for you and just offers to go straight ahead to recording. It’s free. Anchor.fm has no membership fee and is said to stay that way to attract more creators to their platform. One-Click Distribution. You don’t have to worry about RSS feeds because the app automatically lets you distribute your content to the biggest podcast players like Apple Podcasts, Google Podcast, and Spotify. Monetize Your Podcast. Aside from the traditional ad sponsorships, Anchor.FM features a listener donation button so that your audience can show their support to your podcast. Podcast with friends. The app allows you to connect with other podcasters wherever they are so you can collaborate. Straightforward Analytics. Anchor.fm provides you with bars and graphs to let you know where most of your audience are listening from. Creator/Editing tools. The app has several built-in tools to enhance your content. Organize your series with the Episode Builder, receive voice messages from your listeners, and add 30-second music transitions right off of your Spotify or Apple music playlist. 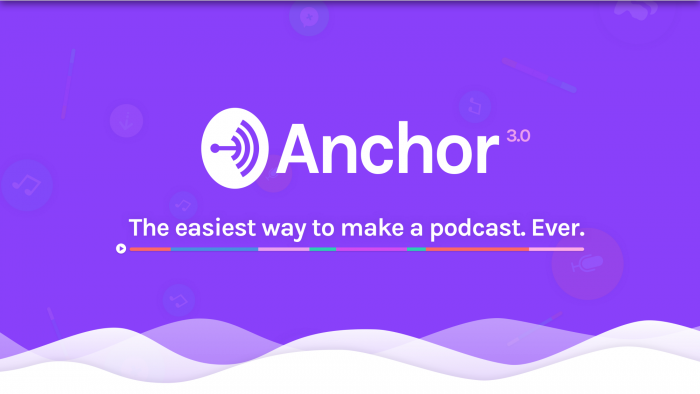 You don’t need a lot to create your podcast with Anchor.fm. As long as you have an idea what your content would be, all you need to do is plug and hit record. Check out this podcast hosted by Anchor. This entry was posted in Media Trends & Tech and tagged audio industry, audio streaming, online streaming, podcasting. I really love your blog!! It is a great read for people like myself who are still trying to figure out how to podcast (and how to blog properly, your blog was very informative and easy to understand. I think that it will be useful to a lot of people who are trying to navigate their way around broadcasting and podcasting. Im not sure if this is possible but just a suggestion, it would be really coo if you could animate your feature photo, can’t wait to hear more tips and trucks that you have share . This is a very good and informative piece. It is well organized and extremely easy to read. I had not known about this website before reading this so it is true that you learn something new every day. I always wanted to make a podcast and at one point in time, I had an idea all laid out, wrote a few scripts. At the time the only thing that was stopping me was where to host it. I didn’t think that SoundCloud would really work, which it might have but I wanted it to reach more people. If I would have seen a blog like this at that time there would have been no stopping me. Thank you so much for this!